Photo Credit & Copyright: ME of the big grey rock in the sky. Below I have listed most of the major night sky events for this month, birthdays, events in history etc. I have also listed all resources used to generate these monthly calendars at the bottom of the post so dig in, learn and enjoy! Finally, calculating events on the Moon is that it’s not as simple as “Ok it’s 40% illuminated so we should see this.” I wish it was that easy but because of libration, locations on the disk of the moon move slightly as we see them. One month an event could occur at 52% illumination and the next month it could occur at 54% illumination. FEBRUARY 01 (Sun) – Entering the month the Moon is 13 days old in its 29.53 day Synodic Cycle and 95% illuminated in its waxing gibbous phase. FEBRUARY 01, 2003: STS-107 Columbia tragedy. FEBRUARY 03 (Tue) – Imbolic Cross Quarter. FEBRUARY 03 (Tue) – The Full Moon will occur at 23:10 UTC (18:10 EST). (Name information provided by The Farmer’s Almanac) Full Snow Moon – Since the heaviest snow usually falls during this month, native tribes of the north and east most often called February’s full Moon the Full Snow Moon. Some tribes also referred to this Moon as the Full Hunger Moon, since harsh weather conditions in their areas made hunting very difficult. FEBRUARY 04, 1902: Birth of Charles Lindbergh. FEBRUARY 04, 1906: Birth of Clyde Tombaugh. FEBRUARY 05, 1971: Apollo 14 Lunar Module Antares lands on the Moon at Fra Mauro. FEBRUARY 06, 1971: Apollo 14 Lunar Module Antares leaves the Moon’s surface. FEBRUARY 06, 1911: Birth of Ronald Regan. FEBRUARY 06 (Thu) – Apogee Moon occurs at 06:27 UTC (01:27 EST) where the Moon is at its furthest point from Earth in its current orbit and will be subtending at 29’ arc minutes from a distance of 406,154 km (252,372 mi). FEBRUARY 08 (Sat) – The Moon reaches Ascending Node at 17:10 UTC (12:10 EST). FEBRUARY 08, 1928: Birth of Charles Verne. FEBRUARY 09, 1971: Splashdown of Apollo 14 and Command Module Kitty Hawk. FEBRUARY 09, 1963: Birth of Dr. Brian Greene. FEBRUARY 10 (Tue) – Sunset on the lunar scarp; Rupes Recta or the “Straight Wall” is visible about the day of or day after last quarter (about 45-50% illuminated) the setting Sun causes it to look white as it illuminates the slope. Two weeks later, during lunar sunrise after first quarter it will appear black. FEBRUARY 10 (Tue) – Pico Mons Sunset. The day of or day after last quarter (around 50% illuminated) the setting Sun hits Pico Mons in Mare Imbrium, near Crater Plato and casts a long shadow along the lunar plains. FEBRUARY 11 (Wed) – The brilliant Walther Sunset Ray will occur around 08:46 UTC (03:46 EST). Located in the ancient 145 kilometer (90 mile) Necterian age crater named Walther (Formerly Walter or Valtherus) is a special treat that occurs monthly for a matter of a few hours when illumination is around 44%. On the western rim of the crater there’s a notch and when the Sun is setting low on the lunar horizon (When the crater is near the terminator) light penetrates the notch, creating a vast triangle or “V” shaped light ray across the craters floor that ends as it illuminates the central peak of the crater. Walther Crater a heavily eroded crater located in the Lunar Southern Highlands at the Selenographic Coordinates (Definition below) of Latitude: 33.1°S / Longitude: 1.0°E. It’s named after German astronomer Bernhard Walther. This crater also has a sunrise ray that instead of a light ray is a long shadow cast by the central peak. FENRUARY 11, 2010: NASA’s Solar Dynamics Observatory (SDO) launched from Cape Canaveral Air Force Station (CCAFS) Space Launch Complex-41 (SLC-41) on an Atlas V-401. FEBRUARY 11, 1847: Birth of Thomas Edison. FEBRUARY 12 (Thu) – Last Quarter (3rd Quarter) Moon occurs this month at 03:52 UTC (22:52 EST on the 11th). FEBRUARY 12 (Thu) – The CURTISS CROSS, is a creation of shadows throughout craters Gambart and Parry which create an “X” shaped formation and will occur around 16:00 UTC (11:00 EST). The Curtiss Cross is associated with the third (last) quarter Moon and forms about 14 hours past the third quarter mark. FEBRUARY 12, 2001: NASA’s Near Earth Asteroid Rendezvous (NEAR) spacecraft lands on asteroid 433 Eros (1st asteroid landing). FEBRUARY 12, 1809: Birth of Charles Darwin. FEBRUARY 13, 1923: Birth of Chuck Yeager. 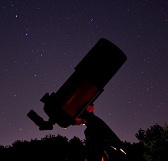 FEBRUARY 13 (Fri) – 24 (Tue) As of Friday The 13th we are on the verge of February’s new moon (Lunation 1140), this week presents nights that are the absolute BEST nights to get out and observe Deep Sky Objects (DSOs) because you won’t have to look through the spotlight that is the Moon. Night skies without the Moon are significantly more productive for viewing and photography ANY night sky object (besides the Moon itself of course). For the lucky ones, this week offers the amazing spectacle of the extreme crescent moon, both waning in the east & waxing in the west. 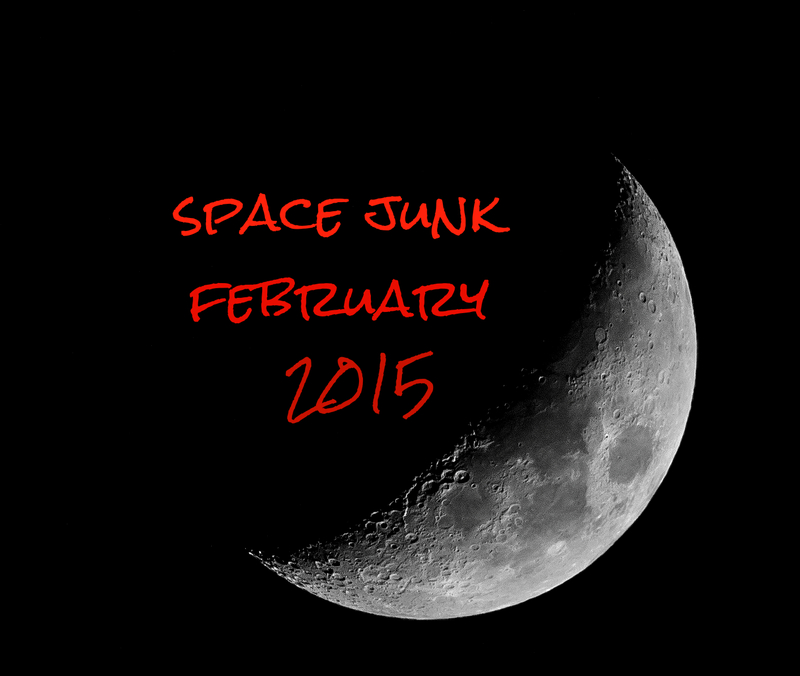 FEBRUARY 14 (Sat) – The Moon is at its Greatest Southern Declination of -18.23 degrees. FEBRUARY 15, 1564: Birth of Galileo Galilei. FEBRUARY 15, 1964: Birth of NASA astronaut Leland Melvin. FEBRUARY 15, 2013: Chelyabinsk meteor strike in Russia. FEBRUARY 18, 1745: Birth of Alessandro Volta. FEBRUARY 19, 1473: Birth of Nicolaus Copernicus. FEBRUARY 19 (Thu) – Perigee Moon occurs at 07:31 UTC (02:31 EST) and is when the Moon is at its closest point to Earth in its orbit. It will be subtending at 33’arc minutes from a distance of 356,991 km (221,284 mi). FEBRUARY 20, 1962: Launch of Mercury-Atlas 6 from Cape Canaveral Air Force Station (CCAFS) Space Launch Complex-14 (SLC-14) carrying John Glenn in Friendship 7 to be the first American to achieve orbit. FEBRUARY 21 (Fri) – Look to the west after sunset to see Mars and Venus less than 1 degree apart. They will be chasing sunset so find a clear horizon about an hour after sunset to catch the pair before they set. FEBRUARY 21 (Fri) – The Moon reaches Descending Node at 16:05 UTC (11:05 EST). FEBRUARY 21, 1967: Launch Date of Apollo 1. FEBRUARY 21, 1964: Birth of Mark & Scott Kelly. FEBRUARY 22, 1857: Birth of Heinrich Hertz. FEBRUARY 25 (Wed) – First Quarter Moon is the Moon watchers paradise. Occurring at 17:15 UTC (12:15 EST), First Quarter Moons and the waxing crescent phase leading up to it offer some of the most visually stunning views the Moon has to offer. Most of us will take the beautiful curves, valleys and shadows of a 1st Quarter Moon over a Full Moon ANY day. FEBRUARY 26 (Thu) – LUNAR-X also known as the PURBACH or WERNER CROSS is scheduled to begin forming the “X” around 04:20 UTC (23:20 EST on the 25). The Lunar-X is the big, more prominent brother to the Curtiss Cross. This “X” is created by shadowing throughout the rims and ridges of craters LaCaille, Blanchinus and Purbach. The “X” formations occur along the terminator (where “day” meets “night” across the Moon). It typically begins just after first quarter when the Moon is approximately 53% illuminated. FEBRUARY 26 (Thu) – Sunrise on the lunar scarp; Rupes Recta or the “Straight Wall” is visible the night of or the night after first quarter (around 60% illuminated) the rising Sun causes it to look black as its shadow is cast. Two weeks later, during lunar sunset it will appear white. FEBRUARY 26 (Thu) – Pico Mons Sunrise occurs the night of or the night after first quarter (around 62% illuminated) the rising Sun hits Pico Mons in Mare Imbrium, near Crater Plato and casts a long shadow along the lunar plains. FEBRUARY 27, 1910: Birth of Clarence “Kelly” Johnson. FEBRUARY 27 (Fri) – The Moon reaches its Greatest Northern Declination of +18.20 degrees. FEBRUARY 27 (Fri) – MAGINUS SUNRISE RAY will occur around 01:35 UTC (20:35 EST on the 26). At the right times and as the Sun rises over the Crater Maginus (Near the terminator) a beautiful sun ray shines through a break in the craters eastern wall. The result is a vast triangle or “V” formation of light cast upon the crater floor for a period of a few hours. Maginus Crater (Named after Italian astronomer Giovanni Antonio Magini) is a pre-Nectarian impact crater located in the southern lunar highlands and to the south east of Tycho Crater. It’s 110 miles (177km.) and has been extremely eroded by subsequent impacts on or near the site through the millennia. Its selenographic coordinates (Definition below) are Latitude: 50.5°S / Longitude: 6.3°W. FEBRUARY 28, 1924: Birth of Christopher “Chris” Columbus Kraft. FEBRUARY 28 (Sat) – Leaving the month the Moon is 10 days old in its 29.53 day Synodic Cycle and 77% illuminated in its waxing gibbous phase. FEBRUARY 29, 2016 (Next Year): LEAP DAY! Image | This entry was posted in Astronomical Events, Astronomy (Learning), Images, News, Solar System, Video and tagged Astronomy, Astrophotography, DanSpae77, Moon, NASA, Planets, Science, Solar System, Space, STEAM, STEM. Bookmark the permalink. As a prelude to Rupes Recta, there is a double Galilean shadow transit (Io and Calisto) from 1936-1959 UT.